Pebble’s entire smartwatch lineup, including the Classic, Time and Round, is currently on sale at Best Buy. The company’s latest flagship smartwatch, the Time, which includes an e-paper display and was the first to feature Pebble’s innovative Timeline interface, has been discounted by $50 to $149.99 (on Mother’s Day it was actually $70 off). 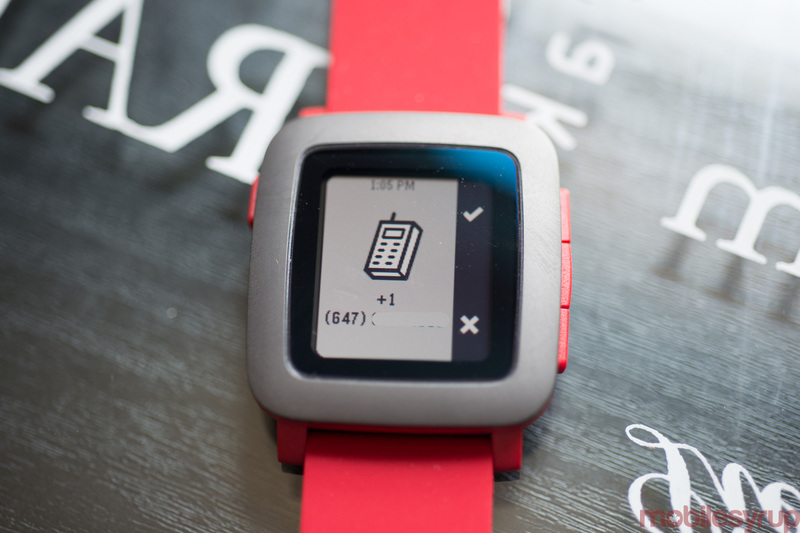 The more expensive Pebble Time Steel has also been discounted by $50. For the next couple of days, it costs $249.99, down from $299.99. The company’s latest smartwatch, the diminutive Round, is likewise on sale. It’s been discounted a more generous $100. Until May 12, its price is set at $179.99. Last but not least, Best Buy has slashed the price of the Classic by $20, down to $79.99. Best Buy has all models in stock in their various colours, both at its online store and its various retail locations. The sale ends this Thursday. In March, the crowdfunding darling laid off 25 of its employees, representing about one-quarter of its total headcount at the time. Following the move, Pebble CEO Eric Migicovsky told Tech Insider the company made the move to secure its future. “We have a vision where wearables will take us in five to 10 years, and this is setting us up for success,” he said.